Sometimes surprise adoptions are the most fun. Brian, Miriam, son Ethan and daughter Emily (at work) of Franklin had been thinking about adopting another greyhound after their Golden Retriever Rusty recently died. 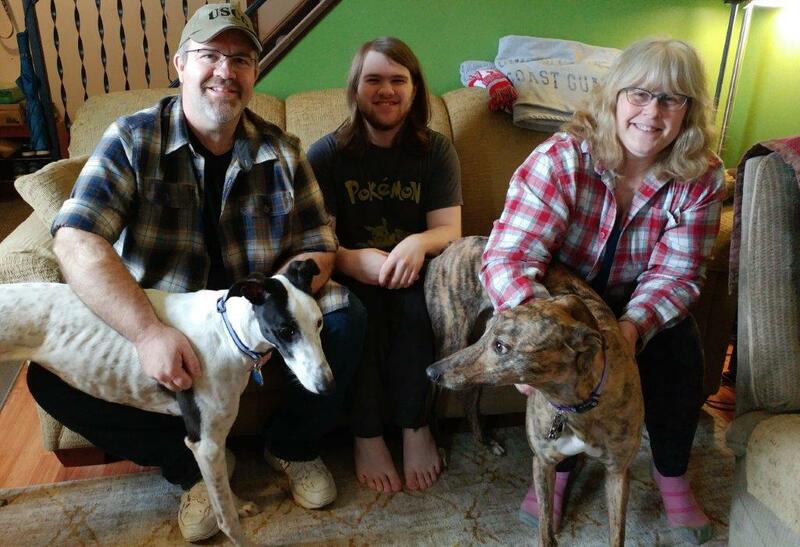 Brian asked about this pretty white and black girl and several days later, she was home - after brindle Maisie gave her approval of the new kid. Her new name is still under consideration.